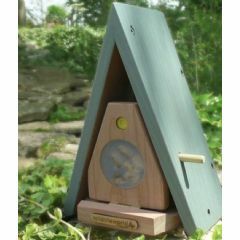 Help stop hedgehog numbers declining and provide a safe haven by placing this Hedgehog House in your garden. Thanks to a hedgehog taking up home in your garden, not only will he, or she, thank you for it come hibernation, but you will reap the rewards for the rest of the year. Hedgehogs are a wonderful addition to your garden and are a natural form of pest control. A single hedgehog will eat up to 200g of insects each night, helping to keep your garden free from slugs, snails and insects, without the use of pesticides. 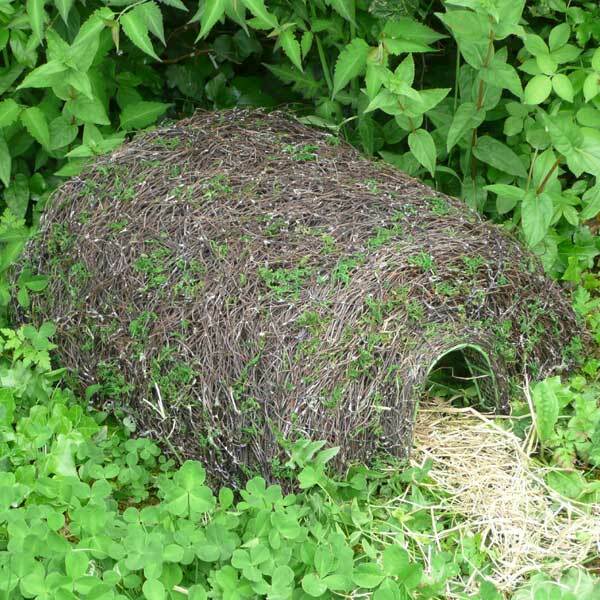 This Hogitat Hedgehog Home is designed to be an attractive natural home and safe retreat for hedgehogs. 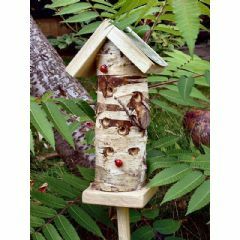 It features a sturdy rustproof steel frame, a waterproofed roof with an attractive natural finish, and a predator defence tunnel. Specifically designed to blend into the garden setting, the Hogitat is a safe retreat for hedgehogs, or small mammals. 1. 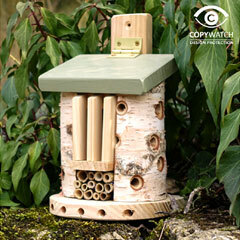 Position the house in a quiet part of your garden, preferably against a bank, wall or fence. 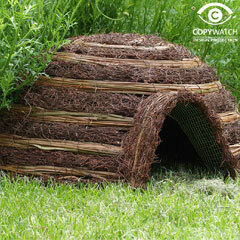 If possible add some cover such as leaves and short grass around the house. 2. 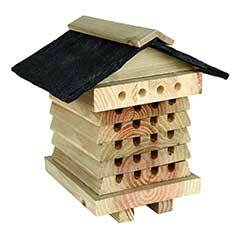 Place a few handsful of short dry grass and leaves inside the box to start a nest. 3. Make sure the entrance to the house does not face North or North East, therefore avoiding cold winter winds. 4. If you have a female hedgehog visitor, be aware she may have her young in it in the spring. 5. After winter use, late March – early April, it may be cleaned out, if possible, just hose down or brush off. 6. To make sure there is nobody in residence, put a small light obstruction in the entrance to see whether it is pushed away overnight. If it isn't, this is an indication that the hedgehog may no longer be in residence - but take care just in case. 7. Do not treat the hedgehog house with creosote or other wood staining treatments as the fumes can be harmful. 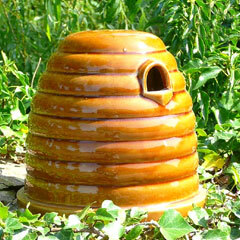 This item seems well made and I hope will attract some hedgehogs.